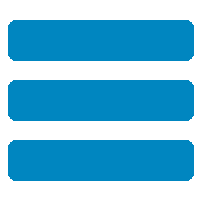 with some sponsorship levels, one or more complimentary SCWLA memberships. with some sponsorship levels, dedicated advertising or marketing space on the SCWLA website and in all Annual Conference materials. 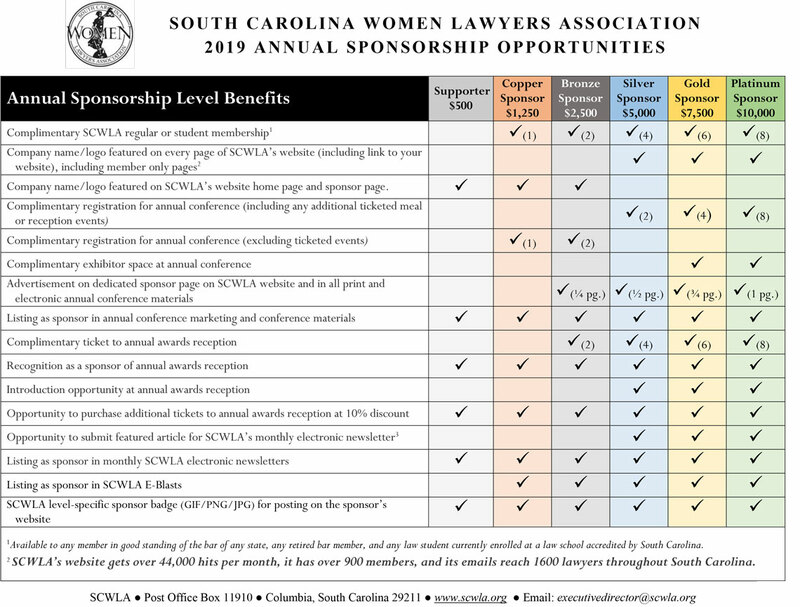 Your sponsorship of SCWLA for 2019 (the year, not a single event) will maximize your visibility within the legal community and support us in fulfilling our mission. All sponsors will receive recognition (1) on our website, which receives over 44,000 hits per month; (2) in our monthly communications that reach 1600 lawyers; (3) in our annual conference promotions, which last year went to over 12,000 South Carolina bar members, and (4) in our electronic newsletters. As you can see from the sponsorship chart below, there are additional benefits of sponsorship that vary based on the sponsorship level. To be a 2019 Sponsor, please complete and submit this form. Please email any questions to [email protected].